Whitewater rafting, mountain hiking, beachside biking, Georgia Grown trails, homegrown music & art festivals, signature breweries and wineries, local shops and boutiques, history and hospitality...there's so much to experience in the Peach State. Arrive at Tbilisi International Airport and meet our local representative at the pick-up point. Get a hassle-free transfer to your booked hotel in Tbilisi and complete the check-in process. 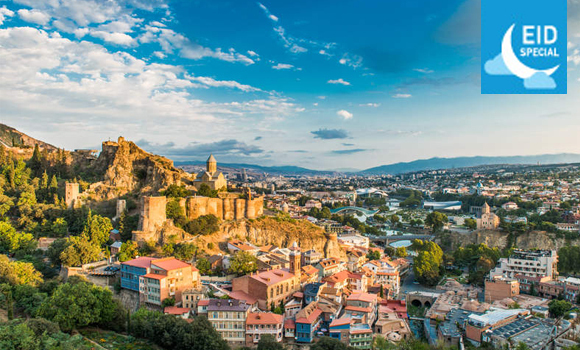 After Breakfast at the hotel, we pick you from your hotels and start tour to Tbilisi City at 11:00. During the tour you will visit Trinity Church, Metekhi Church, walk in Rike Park, ride the cable car to the fortress Narikala and walk in Old Tbilisi streets. You will see the sulfur baths, walk on the glass bridge (Bridge of Peace), mosque, synagogue and driver will take you from liberty square to Rustaveli Avenue. The duration of tour is 4-5 hours. After Breakfast at the hotel , meeting time will be 7:00 am to Pick up from hotel and continue for the tour.via Georgian-Russian military highway to see the beautiful Zhinvali Reseivor. After that you will visit Ananuri fortress with the old church, defensive wall and the highest tower and continue the road to Gudauri with the incredible panoramic view. After Gudauri you will visit Stepantsminda where you will change the car to 4x4 jeeps and climb the Kazbegi mountain and visit Gergety Trinity church. The duration of tour is 7-8 hours. Enjoy a tasty breakfast and complete the hotel check-out. Proceed to Mtskheta and Uplistshike Cave Town Tour. 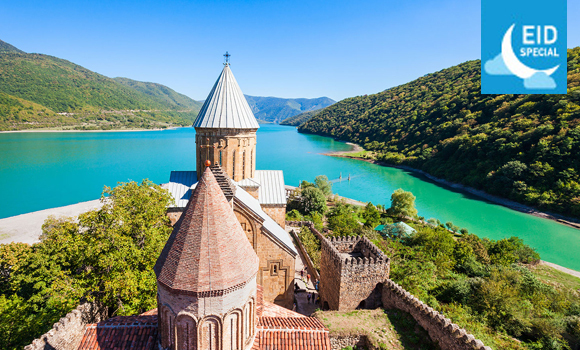 Enjoy a fascinating day tour to Mtskheta, one of the oldest continually inhabited cities in the world. It’s the birthplace of and one of the most vibrant centres of Christianity in Georgia. In 2014, it was given the title of Holy City by the Georgian Orthodox Church. Board your return flight from Tbilisi International Airport and cherish fond memories of your trip. All photos and videos shown are illustrative.